Did we mention they're delicious, too? July 12 marks National Simplicity Day, a day where we can take a step back and examine just how to make our lives easier and more fulfilled. In its honor, we're introducing Simplicity Week at UNIQLO, with tips and tricks to streamline your life and embrace the LifeWear tenets of simplicity, quality, and longevity. Today? A simple cookie recipe you can whip up in no time flat. 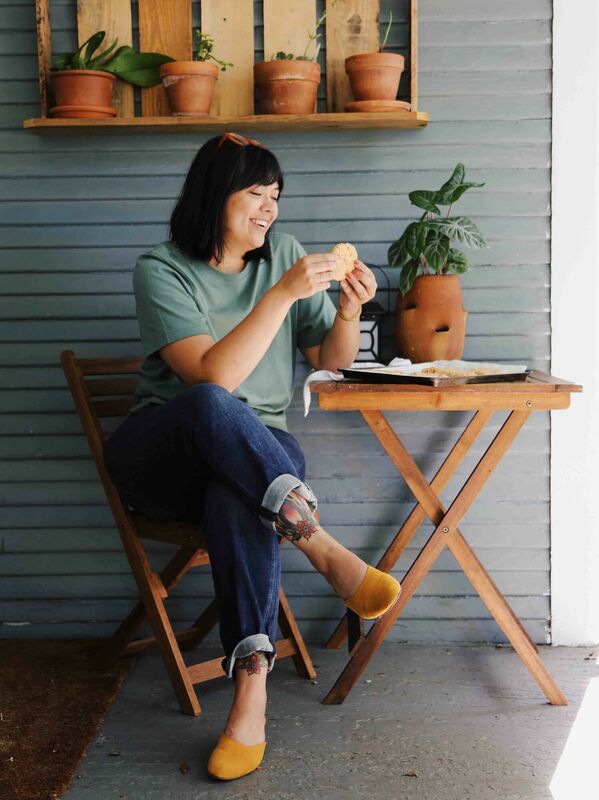 Jacksonville, Florida-based chef Calli Marie is no stranger to a sweet treat — her cookbook, Calli Marie Bakes, is full of delicious desserts, and the decadent cake creations she bakes for weddings and occasions are totally museum-worthy. Still, Calli appreciates the simple and tried-and-true (hence why she loves her UNIQLO U tee and boyfriend jeans so much!). 1. Preheat oven to 350 degrees and adjust oven rack to middle position. 2. Combine sugar, egg, and salt in medium mixing bowl with a wooden spoon or spatula. Add peanut butter and mix until just combined. 3. Scoop cookies into 2 ounce portions (yellow #20 scoop, ice cream scoop or ¼ cup) onto parchment-lined baking sheet. 4. Press down slightly by hand to form ½ inch thick discs. 5. Bake immediately in oven for 10 - 12 minutes or until edges have browned slightly and begun to crack. 6. Allow cookies to cool completely on tray before moving. Want more? Shop new arrivals for men and women!